One of my big beer-related interests is brewing with “alternative” grains, partly because of curiosity but also because my wife has celiac disease and likes beer. For the unfamiliar, the treatment for celiac disease is to avoid all gluten-containing foods, whether they are made with gluten-containing ingredients (barley, wheat and rye and their derivatives) or potentially cross-contaminated with remnants of gluten-containing ingredients. This can be a lot more complicated than it seems (partly due to not being taken seriously, thanks to fad dieters and health food nuts co-opting your involuntary, medically-necessary diet, but I digress…) and the consequences of not doing so are serious, far, far beyond than the stomach discomfort most would associate with it. Conventional beer is out of the question as it is made with at least one of the three problematic grains. Filtering and/or enzymatically breaking down the leftover gluten in beer is possible — beers like Estrella Daura or the Omission line are made this way and are tested for safety. Levels below 20ppm are held to be safe for celiacs, and done well these treatments are effective. But this is at the very least unreliable at the homebrew level since we can’t test the gluten content in the finished product short of sending samples to a lab. Fortunately, we can “simply” malt and brew with other grains and pseudocereals, like millet, rice, sorghum, maize, buckwheat and quinoa, all of which are naturally gluten-free. Since hops are naturally gluten-free, wort production is taken care of–although often with much more difficulty than barley beer and with a distinct flavor from each of the different grains. That brings us to yeast. 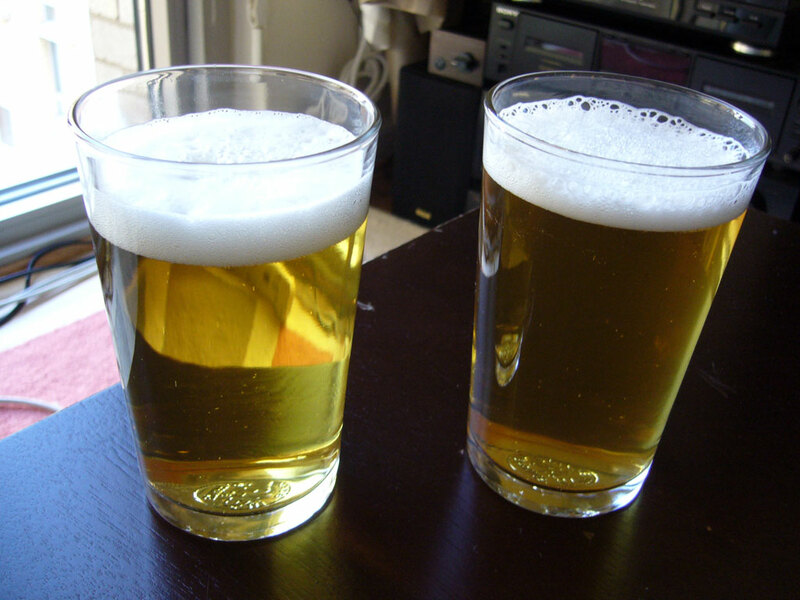 Commercial liquid yeast manufacturers use barley wort as the base in their growth medium, and the finished product ends up containing some. The levels are low, low enough that we can ignore it: about 120ppm for Wyeast, and an extremely low 12ppm for White Labs. When diluted in several gallons of wort, that gluten content is surely under the aforementioned accepted maximum of 20ppm. That is great, for sure. Some celiacs are fine with that level of assurance. But we are not perfect (or perfectly rational) beings, and while we may know it is not going to be a problem, sometimes whatever doubt lingers in our minds is enough to ruin the experience of having a nice beer. To fully eliminate any apprehension, we can use dry yeasts from (at least) Danstar, Safale and Mangrove Jack’s that don’t use barley wort as their medium. At least for Danstar and bread yeast manufacturers, molasses is the sugar source in growth medium. But that is further restricting due to the limited number of strains available. Not that they aren’t good, of course, but there are just so many good liquid ones that it is too important to ignore. The good news is that yeast ranching with gluten-free media is trivial. In fact, I have mostly used only such media from day one and use them exclusively on all slants. This opens up the entire world of liquid yeast for gluten-free brewers, because we can culture the yeast taking essentially nothing but the cells themselves from the original tube/pack. Plating and further culturing is then done on gluten-free media and the resulting beer is 100% free of any contamination, provided standard hygiene is practiced. Potato-based media are completely fine and require no changes. But even malt-based media are easy to adapt. Briess white sorghum syrup, which is made from unmalted sorghum grain that is enzymatically mashed (and thus totally different from sorghum cane syrup/molasses), is a 1:1 replacement for LME. Most malt medium recipes call for DME due to its ease of use, but we can swap in LME and thus sorghum grain syrup by accounting for the 20% water content. Some might call into question the lower FAN content of the Briess syrup relative to standard LME (as indicated by Briess’s spec sheets) but I have not found that to be a problem, and end up using yeast nutrient in starters anyway. So, that’s pretty much all there is to it. Part II will contain a few concrete recipes and go over a few of the idiosyncrasies. This entry was posted in Brewing, Process and tagged banking, brewing, gluten-free, plating, slant on 2014/11/29 by DC Yeast Lab. I have been on hiatus now for few months, not just from blogging but also brewing in general. I had some health problems flare up earlier in the year and couldn’t drink much beer, and had little energy for brewing. But in any case, I had the few bottles I ended up getting out of this batch to taste. The brewing process was a bit of a disaster, and fermentation got stuck around 1.020. It also looks like I did some things wrong while malting. I attempted to soak the corn in a dilute lye solution, as had been recommended in an African sorghum malting guide. This is supposed to help disinfect the grains a bit so that the high-temperature (relatively speaking) malting process isn’t thwarted by microbial growth. Dilute as it was, it ended up contributing a ton of flavor. I think it soaked in there for less than an hour, since it was already changing the color and apparently changed the flavor. In short, here’s the problem: soaking (and boiling) corn in alkaline solution makes nixtamal, which is dried and ground into masa flour for making tortillas and such. Even though it was short and never boiled, the beer ended up tasting weirdly like tortilla chips. That this was at all drinkable was a miracle. I realize it’s a bit odd to complain about a corn beer tasting too much like corn, but this is really the wrong kind of corn flavor. My previous corn beer had no discernible corniness. I think if I could go back and referment that wort as a weissbier it would have worked great. Appearance: The color is nice, with a slight chill haze. The yeast, surprisingly, mostly dropped out. Attempting to pour the yeast from the bottle resulted in unsightly clumps instead of the pleasant haze you’d expect. The head was pretty thin. I suppose it’s consistent with a highly carbonated, low gravity beer. It doesn’t seem like the corn (popcorn, specifically) lacks the necessary protein, since there is a ton of it in the boil. The bad malting this time may have hurt this more by not breaking them down into the right kinds of foam-positive proteins. Definitely a disappointment, since my last corn beer produced a very smooth head. There was some slight lacing, but even with thorough manual cleaning of my beer glasses with the appropriate agents (baking soda, mostly) I don’t seem to get enough out of any beer, not just my homebrew. Aroma: There is very little clove in the aroma. Actually, there wasn’t much aroma to speak of. Occasionally the tortilla chip aroma floated off but it wasn’t strong. I sort of suspected it was DMS for a bit, since there was a lot produced during the mash and sparge (intense cooked vegetable flavor), but it wasn’t super consistent with the description of low levels of DMS. Plus, the boil was a full two hours. Also of note: while last time my kitchen reeked of corn after the process, this time I didn’t notice it as much. I have no idea if that’s important or not. Taste: The vague tortilla chip flavor is quite strong, and takes over the muted clove character. Moving it around on the tongue, the tortilla flavor dissipates and the clove comes out more. Ultimately, it is very, very bland, with a very slight sweetness from the unfermented sugars. The resultant low alcohol level and complete lack of body make this very boring indeed. High carbonation helped, but it was no magic fix. Since the unfermented sugars contributed only a slight sweetness, I’m going to guess it was not a true stuck fermentation, per se, but rather incomplete conversion in the mash. Mouthfeel: Thin. The high carbonation also helped here. I think it could have been even more effervescent. My carbonation calculation was for 3 volumes, I believe, but I think it was a little low. Overall: A total disappointment. I suppose it’s not a complete failure since it was actually drinkable, a low bar as that may be. Once I get my brewing stuff back on track I’ll have to retry with the popcorn I have left over. Next time there will be no soaking treatment beyond water. This entry was posted in Brewing and tagged brewing, corn malt, gluten-free, home malting, maize malt, popcorn on 2014/05/18 by DC Yeast Lab. Malting seems to be the one aspect of brewing that most homebrewers are very content to leave to the professionals. Lots of people grown their own hops, and an increasing number of people seem to be taking up yeast culturing. But judging by the dearth of information available online, malting just isn’t that popular. I do wonder how much of that is just due to gross misinformation about the process. Sure enough, even the few resources out there are riddled with errors sure to doom your batch unless you are rather lucky. I tried to follow some of these and ended up with little to show for it. But now, having made a few successful batches, I hope I can clear some things up. These are the main things that put me off or messed up in the past. Much of this information comes from three very good sources: Graham Anderson’s article in the Jan-Feb. ’13 issue of BYO, Andrew Lavery’s guide for malting gluten-free grains, and the blog Brewing Beer the Hard Way (where he goes the much further step of growing the grains himself). Malting can be as technical as you want it to be. You can track and control moisture levels and temperatures, or you can be a little more relaxed about it. In my case, I’ve used my fermentation fridge for malting cold-climate grains like wheat (I haven’t done barley yet) but used room temperature for warmer climate grains like popcorn. I haven’t kept track of moisture content, and that may explain some of my undermodified batches that seemed to dry out. However, even those batches have worked out OK for the most part. Note that I am not saying moisture content and temperature don’t matter. They do, quite significantly. But winging it is often enough when doing this just for fun. You can go all-out with dedicated equipment, but simple things work, too. I use my apartment’s oven (which has a helpful but not necessary “Keep Warm” setting) as a kiln, which should likewise work for most people. The sprouting bed consists of a large, clean garbage bag on the floor, optionally on a towel to prevent the rather annoying noise if you have wood floors. I use another to loosely cover it up (edit: this may be a bad idea due to condensation and possible mold growth). I have also used baking trays. The only piece of equipment I’ve made especially for it is a rather shoddy oast/tray of folded-over aluminum window screen material. It is flimsy but does the job. Graham Anderson’s article suggested repeatedly rinsing out grains until the water runs clear. This seems to work out well. In addition, letting them absorb water without forcing them down is a good idea since some broken grains will float. You definitely don’t want broken grains in your batch, if for nothing else than that they are prone to molding and won’t sprout. The soaking water should not have chlorine in it. According to at least one malting textbook, it’ll lead to bad flavors in the finished beer, much like brewing with chlorinated water would. I suspect rinsing with chlorinated water would be OK since not much would seep in, but I haven’t tested that yet. Soaking needs to be broken up so that the grain can breathe a little. Graham’s article suggested 8 hour soaks followed by 8 hour air rests. Three soaks seems to work for wheat and barley, but popcorn at least seems to need four. I rinse the grains before and after each soak. This may well be overkill, but at this scale it is not a problem. It may be possible to use an aeration pump in the soaking water instead of the air rests, but the water should still be changed due to bacterial growth. This is something I am experimenting with right now. This is likely the most important thing that is often wrong, based on what I had read. I certainly had it wrong myself. When malting at home, drying and kilning should be entirely separate processes. Drying under heat is likely to damage your grain’s enzymes since home ovens don’t produce the sort of low, steady temperatures and ventilation necessary for drying. A fan blowing over the grain bed does a great job in a few days (another tip I got from Graham’s article). Again, grains should only be kilned once they are thoroughly dry. Once the grain weighs less than what I started with, I move part of it to the shoddy oast in the oven where I hold a low temperature (180-200F) with the door cracked open. If your home oven doesn’t go that low, a toaster oven might work (this is another solution using a hot plate in the oven instead of the built-in elements). I kiln for usually an hour to three hours depending on how the aroma and flavor develops. That last bit is the key: without kilning, malt simply won’t taste or smell like malt. It’ll be extremely pale and likely won’t convert well on its own due to high mash pH, despite its high enzyme content. Sometimes there is a grassy smell, especially if the sprouts were exposed to light, that kilning also seems to take care of. A long boil might do the same. I let the kilned grains rest for a month or so before brewing. This seems to soften up the flavor a bit, in a good way. I’m not suggesting that home malting is better in any way than buying it off the shelf. It is likely inferior in pretty much every way, especially predictability and consistency (that’s where being technical really helps). However, malting and brewing with the malts has been the most fun I’ve had brewing since I started doing yeast culturing in earnest. A rich, sweet wort is a lot more impressive when you know the bland, tough and starchy grains that you started with. Searching through forums, I’ve seen quite a few “why would you want to do that?” responses to people who asked. Frankly, that’s just moronic. You could easily say the same thing about growing hops or yeast, or even about homebrewing in general. These days, there are plenty of good beers at the supermarket, so why bother? Right? Right? I might at some point post a complete guide of how I do it. In any case, the referenced articles should provide enough of an idea how to do this yourself. This entry was posted in Brewing and tagged brewing, gluten-free, home malting on 2014/01/15 by DC Yeast Lab. I first brewed a beer using nothing but malted popcorn this past summer. It was mostly successful (and turned out to be my most popular post ever) but some fermentation troubles knocked it down significantly. Since then I have been wanting to try again. I malted six pounds of popcorn in November, and finally brewed with it this weekend. While the popcorn ale would have been good if not for the acetaldehyde, this time I decided to try for a more yeast-driven style. I figured something in the style of a hefe-weizen would work well. The generally high protein content of the popcorn plus the fact that a good amount of the grains never sprouted might help it work like a high-percentage wheat mash would. After picking the style, I kilned the fan-dried malt to different points in amounts I thought would work. I went with more kilned malt this time due to the lack of, well, malty flavors from the air-dried malt. My reason for not kilning the entire batch was to hopefully preserve more of the enzymes, especially lower-temperature enzymes that are more easily damaged during the kilning process. This mash schedule (detailed here) incorporates a beta-glucan rest and a protein rest, so having those enzymes actually present would be good. I also made some darker kilned malt and another attempt at crystal malt for flavor, hoping it’d counteract the dilution by the wind malt. Indeed, the wort was much richer in flavor this time. While the beta-glucan rest may not be necessary for corn, it doesn’t seem to hurt. Additionally, the rest is in the temperature range for a ferulic acid rest. I can’t say I know if that’s applicable to corn, either, but again, it doesn’t seem to do any harm beyond taking up a few minutes. I definitely kept the protein rest, especially since there was a good amount of effectively unmalted grain in the grist. This may actually be a good thing for head retention. The majority of the brew day was straightforward. A notable exception was my total screw-up with pH correction. I got a pH meter for Christmas and planned for pH corrections using a water calculator. The calculator predicted the mash pH (10 minutes in) without acid right on. I rather stupidly proceeded to add the entire predicted amount of phosphoric acid at once, promptly dropping the pH from 5.7 to 4.8 in a cooled sample. After the initial panic, I stirred more and measured again. It’d gone up to just under 5.0. I then added some baking soda to bring up the pH. This was actually in line with the “Balanced Profile” on the Brewer’s Friend calculator, although I was not planning on adding it and the acid calculation did not include it. At the beginning of the protein rest I was up to 5.2 at room temperature. That’s a little low (I was going for 5.4) but still within the acceptable range. Saccharification seemed to go OK. I didn’t add any amylase enzymes this time. The mash steps were not calculated for temperature with the exception of the beta-glucan and protein rests. I used direct heat on the stove instead and used volumes that worked comfortably in my 5 gallon kettle. 0.5 oz. Tettnanger, 3.8% AA @ 60 min. Yeast: Danstar Munich, rehydrated, about 5g. I was going to grow WY3068 from my bank in sorghum wort (so that it’s gluten-free), but had to reschedule the brew and didn’t have time. Collected 5 gallons of filtered water and added 2g calcium chloride, 1g gypsum and 0.1g potassium metabisulfite. Crushed malt with a Corona knockoff mill. This is easily the worst part of the brewday. Mashed in with 6.5 quarts at 109F. Settled at 104F. Rest for 10 minutes. Measured (cooled) pH at 5.7. Added full calculated amount, 17mL 10% phosphoric acid; pH went down below 5. Ended up adding 0.6g baking soda to bring it back up to 5.2. The calculated target after acid addition was 5.4. Rested another 15 minutes with occasional stirring. Added 1.5 qts. of boiling water to bring up to 122F. Rested for 25 minutes with no stirring. Siphoned 0.8 gallons off the top into a gallon jug. Added 2 qts. boiling water plus direct heat to get to 165F. This converts some of the starch into dextrins so that the boil is thinner. Raising the temperature took 10 minutes, rested at 165F for 20 minutes. The mash thickened significantly around 160F, the upper range of gelatinization for corn starch, before thinning again from alpha-amylase activity. Brought up to a boil with direct heat and boil for 5 minutes. Covered and let it cool down naturally. The mash was very thick as the grain further gelatinized and absorbed water without any enzyme activity. Poured enzyme liquid back on. Added a further quart of cold water and adjusted temperature to 150F. Rested at 150F for 75 minutes. The pH was 5.3 at this point. I did not bother to check starch conversion this time since the iodine-positive mash last time didn’t seem to cause any problems. The wort was very sweet and thinned out again so it seemed OK. Edit: I tested some tail runnings I saved a few days later. Looked OK–perhaps a little bit of a reaction. Edit 2: Hydrometer sample was slightly positive as well. Raised to 165F for 15 minutes for mash-out. Transferred about half of the grain and liquid into my 2 gallon lauter tun. The whole amount would not fit so I had to do it in batches. Vorlauf and lauter initially went OK without any rice hulls or other aids. Drained about 1 gallon into the boil kettle. Added the other half of the grain and more of the liquid. This caused the lauter to get stuck. After messing with it for a bit I abandoned the tun and went with a fine mesh bag. Added 3mL 10% phosphoric acid to the remaining water (about 2.5 gallons) to bring the pH down to just under 6.0. Heated to 165F and dunked the bag in. Stirred and rested for 15 minutes. Collected a total of 3.8 gallons at 1.025. Boiled for an hour without hops. Added 2 drops of Fermcap as the hot break started to form. Added 0.5 oz of Tettnanger (which didn’t smell great once boiled, despite being a new pack. Glad it was a bittering addition.) and boiled for another 50 minutes. Added 1/4 tsp. Wyeast nutrient, 1/4 tsp. Irish moss and copper immersion chiller and boiled another 10 minutes. Chilled to 58F. Poured entire kettle into the fermenter, about 2.1 gallons. This puts the gravity around 1.045, although I did not measure it. This included a massive amount of protein break that eventually settled (phew). I will hopefully get at least a clean gallon out of it. After about an hour, oxygenated for 10 seconds with pure O2 and pitched yeast. I rehydrated the whole pack and poured half of it into the fermenter. Ferment at 16C (~62F). Took about 24 hours to show signs. Update: Took a hydrometer reading two weeks in. The yeast had almost totally dropped out. It seemed to be stuck at 1.020–I can’t tell if it’s the wort or the yeast. It also does not taste very good. Thin, watery, tart (in a bad way, thanks to the crazy acid addition) with only a little of the desired yeast character. It’s possibly slightly oxidized, too. Not exactly what I wanted. I’m leaving it another week or two before bottling, now with the temperature raised to 18C. I guess now I’m just hoping that carbonation does some sort of miracle to save this one. Update, 1/27: Bottled 1 gallon of it with 32g table sugar for about 3.2 vols. of CO2. Went in PET bottles due to worries about the high FG and high carbonation in general. The gravity had moved slightly since last check to about 1.018 or so, corrected for temperature. I added another yeast to what was left in the fermenter to see if it was the yeast or the wort that led it to end higher than expected. Given that it does not taste very good I’m not too worried about what happens at this point. This entry was posted in Brewing and tagged brewing, corn malt, gluten-free, home malting, maize malt, popcorn on 2014/01/06 by DC Yeast Lab. I am finally quite confident I have identified the source of my problem. The culprit appears to be the malt I bought at a nearby HBS. Given that I crushed and brewed with this grain the day I bought it, it definitely looks like it was bad when I bought it. It was the very fact that it was bad from the day I bought it that made me suspect other things first. That is quite a shame given how much time and beer I’ve wasted. After I again began to suspect the malt I decided to buy some more fresh, and do a comparison. It wasn’t a perfect apples-to-apples comparison, with the newer malt being Maris Otter and the problem malt US 2-row. But the rest was the exact same: I mashed 60 grams of each in 300mL of the same water for 30 minutes (in the oven), filtered through a fine sieve and then boiled without any hops. I added some yeast slurry I had in the fridge, about 75mL in each flask. I did my best to clean off the residue on the mill, especially given that the only grain I’ve ever used it on had been this questionable malt. I am fairly sure I ended up with some of it in the Maris Otter half, though. In a comment, Sui Generis mentioned that a time when he brewed with questionable grain it was clear from the beginning that something was wrong. That hadn’t been the case for me before. But this time, both due to having something to compare to and to having no specialty grains or hops to mask the aroma, I noticed the 2-row flask smelled a bit off while boiling, just like what I smelled in the bad beers. This intensified after fermentation began but was obvious even when still. The Maris Otter half smells very clean in comparison. If I really look for it, I think I detect some of the off smell there, too. But that could be in my head, or it could be due to some residue from the mill. Since the difference is so obvious, I am very confident this malt was the problem. And since my other questionable batches not involving this bag of 2-row did have old, precrushed malt, it’s reasonable to assume the culprit there. Ultimately, I am glad it was something simple like this. It’s a shame it took several months and lots of frustration to figure it out. I suppose it’s good that I am paying more attention to the water before brewing even though that wasn’t the problem. I do regret having posted that first entry with its bogus deduction. It’s no surprise the problem wasn’t something that exotic. It is surprising how convinced I was this had a plastic character to it, when thinking about it now that’s not at all what it is. Smoky, maybe, but it’s definitely not plastic. I added a note to that post just in case somebody stumbles upon it from a web search or something. For reference, the bag of malt in question was a 10 lb. bag prepackaged by one of the bigger ingredients distributors (I actually don’t remember which one) that I bought in July. I don’t recall seeing any dates on the package. The HBS has since redone their grain setup completely, so I will probably give them another shot later on. Hopefully I can now get back to blogging about more interesting things. Thanks to everyone who helped out. This entry was posted in Brewing and tagged brewing, off-flavor on 2013/12/08 by DC Yeast Lab. In my last post on the subject, I mentioned I had just brewed a very light cream ale, a beer in which any of this off-flavor would be immediately noticeable. Sadly, I was right about that! It is quite bad. Like my last post, this is mostly a “brain dump” and thus not quite as coherent as it could be. As always, any help is appreciated. Given the good quality of the water I brewed this with, I am fairly confident the chlorine or pre-existing chlorophenol hypothesis is out. I do have a few new data points to work with and could instead be looking at oxidation. I had previously discounted it due to the fact the flavor develops almost right away. Generally I’ve seen it stated that it takes a long time for oxidation to show up. But there is a little more this time to suggest it. At bottling, I noticed none of the specific off-flavor, although there was a bit of acetaldehyde. Out of curiosity I opened the last bottle (only about 3/4ths filled) only two days after bottling. It is already quite carbonated, and it poured with a lot of foam. I immediately got the off-smell and tasted it right away, too. This time I thought maybe I was falsely attributing plastic notes due to reading about such an off-flavor online and my shaky confidence about the water. Although it’s not quite “wet cardboard” or other descriptions of oxidation, there’s perhaps a general staleness to it. The other half of the 2.5 gallon batch went into a Cubitainer (polypin) with half as much priming sugar. I’ve sampled a few pours despite it being only a little carbonated, and so far there is no real hint of the specific off-flavor or smell there. But there is still that general staleness, I think. So perhaps the carbonation is enhancing my perception of the smell, and perhaps then the smell enhances my perception of the flavor. That is consistent with past experiences, where I have tasted this during active fermentation or after bottling, but not in the wort or flat beer. Indeed, after taking the bottled beer and pouring it repeatedly between two glasses I started to notice it less and less. So although there’s no reason to think it is a result of overcarbonation or anything like that, it’s probably connected to CO2 as far as my perception is concerned. First, every beer I’ve made from this 10 lb. bag of pale malt has been bad (#3 & #4 from the last post and this one) Although I am crushing it at home and in used it once right when I got home from the LHBS, it’s possible it was old and stale when I bought it. The same goes for the chichas, which were made with pre-crushed malted corn from who knows when, and the first problematic beer which was made with six-month-old precrushed malt. This is supposed to be quite unlikely, but definitely possible. It would be consistent with the smell & flavor being there right from the get-go. However, the malt seems to taste fine raw. Second, in this instance I tried a BIAB, no-sparge mash and let a lot of it drip down from the bag while squeezing it out. Other people have done this many times and report good results, and other beers where I have splashed or dripped a lot (like my popcorn ale and millet saison) had none of this. But hot-side aeration is not impossible, just improbable as far as I can tell so it’s a possibility. Third, and perhaps most damning, I intended to do a short cold crash but ended up effectively doing a month-long lagering since the yeast took forever to drop out. Since it was supposed to be short I replaced the airlock with a piece of foil and a rubber band to avoid suckback. That amount of time with that amount of headspace (half of a 5 gallon Better Bottle) can easily cause oxidation, I think. Without further experiments I can’t quite discount the possibility that something else is wrong and causing the off-flavor/smell in addition to this beer being oxidized and stale. I can test the malt with side-by-side small mashes with the same water and new malt. I can intentionally splash the heck out of another mash to test that. I am not super keen on wasting a month intentionally oxidizing a beer, but hey, it may be necessary. This is all quite discouraging, of course, but I intend to figure it out. Thankfully I have had good beers before and in between the bad, so I know it’s not impossible. This entry was posted in Brewing, Process and tagged off-flavor on 2013/11/27 by DC Yeast Lab. I have been sampling the beer I brewed in April periodically since I bottled in April. With two bottles left of each, it seemed like a good time to write an actual review. This beer started as a 1.040 pilsner extract wort, hopped lightly with Hallertau only at 60 minutes. Both finished at 1.004, an apparent attenuation of 90%. Consequently, both are a bit thin in the flavor department. But beyond that, they differ quite markedly. The results were quite a surprise. Appearance: Very clear, with a pale gold color. The bottle released a lot of CO2 after uncapping. Pouring slowly straight down the middle, it developed a thick, foamy head that dissipated fairly quickly. Smell: Classic Brett funk and phenolic smell. Very lambic-like. A faint background note of fruit, especially strong while pouring. I believe this is the “cherry pie” many have described from Brett beers. Taste: Quite tart. Not a sour beer by any means, but it is noticeably acidic, especially compared side-by-side with the DCY03 beer. Taste is straightforwardly Bretty, hard to find much unique beyond that. Mouthfeel: Surprisingly full, given the high attenuation and low OG. Prickly carbonation. Overall: Not a great beer by any means, but definitely enjoyable. This could be a great yeast for lambic fermentations for sure, and with a more interesting wort could be a good sole fermenter. Appearance: Same as DCY02, perhaps a bit hazier for some reason. That is probably sediment from the bottle, not suspended yeast. Poured with large bubbles at first, but eventually developed a thin head. Smell: A bit stronger phenolic note, almost Band-aid-like. Minimal funk, though that may be the other smell masking it. Taste: Bland. Slightly spicy, with a bit of peach in there somewhere. A little tartness, but nothing compared to DCY02’s. Mouthfeel: Quite thin. Due to the sluggish refermentation this may be due to different levels of carbonation compared with the DCY02 beer. The difference is very evident. Overall: A major disappointment, given how nice this yeast smelled in the starter. None of the fruit notes from that stage are present, and the stronger Band-aid note is distracting. It struggled as a refermenter, apparently, as carbonation never fully developed even after months in the bottle. It could be useful as a secondary fermenter (though not as a bottle conditioning yeast) or in conjunction with another Brett strain for primary. I would definitely use a bottling yeast if using DCY03 solo. I still have one more bottle of each that I will revisit in a few months. Until then, this gives a pretty good indication of what each yeast does. This entry was posted in Brewing and tagged brewing, dcambic, dcy02, dcy03 on 2013/11/09 by DC Yeast Lab.